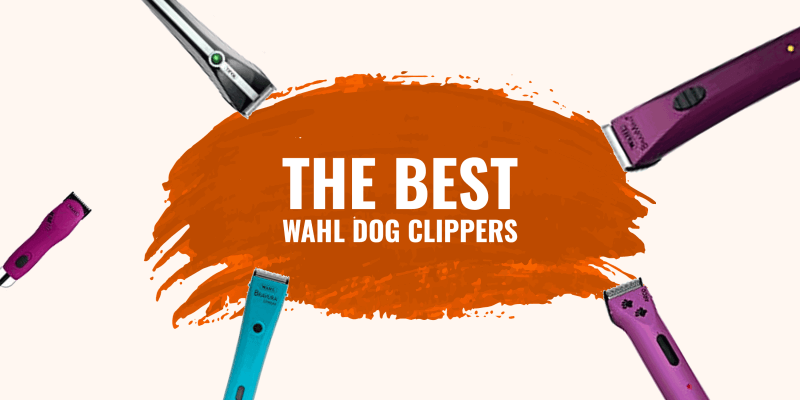 Wahl dog clippers are amongst the most popular pet grooming clippers available for professional and hobby groomers alike. Directly competing with Oster and Andis, these three animal clippers brands have shown that they are in a league of their own. Specialized engineering, latest technologies, precise and durable blades, all the features you need are valued by Wahl and its two main competitors. Since 1919, Wahl has been a top, leading brand around the world for professional, as well as personal, grooming products for both dogs and humans. Alongside the two other top grooming brands including Oster and Andis, Wahl products began their professional journey after the invention of the very first practical electric hair clipper. It was a simple curious experiment that started with a vibrating electromagnetic motor that later turned into a vibrating medical massager, which ultimately inspired the desire to improve the general functioning of barber tools. With over 1,500 worldwide employees, Wahl has delivered high-performance track records. They always kept up with tradition while also perfecting their styles and tools to better equip demanding groomers. Wahl also offers an unbeatable customer service and great warranties! Inspired and created by Leo J. Wahl with headquarters in Sterling, Illinois, USA, Wahl has products sold and shipped to roughly 165 different countries with six global manufacturing facilities and eleven sales offices. Their products remain as the standard for marketing in terms of top value, integrity, and efficiency. Their vision stands to date, that every professional on a global scale can grow to trust the ground-breaking innovations that can only be provided with Wahl products. The KM10 Wahl Dog Clippers are the ultimate accessory for an all-around grooming as it is convenient for not only dogs, but also for cats, livestock, and horses. This clipper kit is ideal for trimming and body clipping all coats. This powerful tool operates at two distinctive, forceful speeds of 3,000 and 3,700 strokes per minute. It features a Constant Speed Control which enables it to automatically enhance its performance during the most difficult trimming tasks. The KM10 delivers high performance that includes an extended motor life, an ultra-quiet production, and is uniquely designed with a rounded front housing that helps prevent unwanted hair clogging. With its 12.3 oz lightweight and measuring at a 7.5 by 2 1.75 inches, users are guaranteed a smoother and more comfortable working delivery as wrists are kept from overstraining. With clippers made in Hungary and blades in the US, these Wahl pet clippers cannot be utilized internationally, only in the US alone. 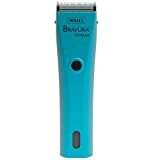 This ergonomically-designed trimmer comes in a slick turquoise or berry color. The detachable blades make working operations more convenient when new blades need to be added. Buyers with pets who tend to grow very thick coats can greatly benefit from the KM10 Wahl dog trimmers. This brushless two-speed clipper is backed by a 5-year warranty and works only with 110-120V, but can be used with 220V if used with an adapter. These clippers are highly rated for professional use. Based on personal reviews, the KM10 beats other dog clippers in regards to quiet operation. Another all-around great Wahl dog clipper for all types of animals, this professional clipper delivers a real punch to the professional grooming kit. These Wahl dog grooming clippers are ultra-convenient as they are cordless and come with their own charger and charging stand. Indeed, with no cord, groomers have more room to move around without the hassle. The Motion Animal Clippers are great for both trimming and clipping dogs, cats, livestock, horses, and cattle. The Constant Speed Control provides a powerful torque to power through the rough edges of tough coats. The multi-level battery is made with an LED traffic light indicator to display of the current battery level. Groomers can do their work with more ease as the removable finger grip provides more stability as it helps reduce accidental drops and slippage. This clipper provides a powerful surge up to 5,500 strokes per minute. Measuring 7.5 inches by 2.25 inches by 2 inches and weighing in at 9.4 ounces, the Animal Motion Lithium by Wahl contains a 5 in 1 blade technology that adjusts their blades to sizes 9, 10, 15, 30, and 40. Extremely lightweight and quiet, the kit also comes with six attachment guide combs, soft storage case, and cleaning brush with blade oil and instruction book. These professional clippers are only usable in electrical outlets in the US and are made in Hungary, while the blade is created in Germany. Buyers are satisfied, claiming these clippers outperformed many of their older tools and have lasted well over time. It is known to hold a charge and is extremely adjustable. Providing a one-year warranty, this tool provides a 90-minute run time and a very quick charge time of 60 minutes while it works during charging as well. 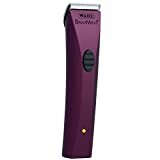 The Bravura Lithium comes in a gorgeous purple tone and many other colors. It is super lightweight weighing in at just 7.9 ounces and measuring 7 inches long. This Wahl dog shaver combines the power of the lithium-ion battery with its 5-in-1 blade to give the adjustability and ease of comfort for all professional and personal groomers. This blade adjusts for sizes 9, 10, 15, 30, and 40 offering varied lengths for cutting. The rechargeable battery provides a 90-minute run while cordless, quiet operation, and low vibration. The battery can be expected to be fully recharged in just 60 minutes. And the clipper will work in full force until there is no charge left. The clipper will continue to run while being charged so there is no need to wait and standby. These clippers are only usable for outlets in the US. 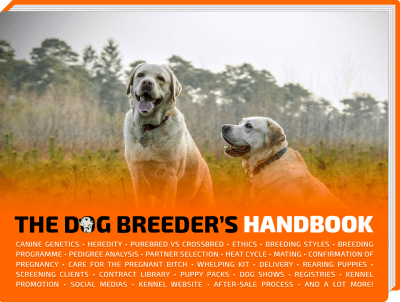 This tool is ideal for clipping and trimming all animals of any breed. It even has been known to easily clip through a horse’s bridle path, muzzle, fetlocks, and ears. It works perfectly for the trimming of show cuts for goats, cattle, and pigs, too. The kit includes one Bravura clipper, six plastic attachment guide combs, 5-in-1 fine blade set, blade oil, cleaning brush, charger and stand, case, and instruction booklet. It is recommended the blades stay lubricated at all times. Buyers can appreciate the 1-year warranty and 100% satisfaction guaranteed for 30 days. It is known to take care of the simpler, smaller tasks and lasts a long time. These clippers are recommended for sensitive dogs. The original Wahl dog clipper providing some of the best, ultimate and most precise trimming experience. These 5-in-1 Wahl dog trimmers can tackle the hardest to reach areas on your dog such. For example, ears, faces, and paws are manageable. These lightweight, cordless dog clippers provide a fine 5-in-1 blade that is adjustable for sizes 9, 10, 15, 30, and 40. Providing a rechargeable battery, these clippers can run up to 80 minutes cordless and has a 75-minute charge time. The no-maintenance motor makes this good value clipper super easy to clean. The slim design is lightweight for easy gripping weighing in at 7.9 ounces and measures 6.75 inches in length. It can be used on both small and medium dogs that include the Bichons, Terriers, Spaniels, Shih Tzus, and even cats. For heavier and thicker coats, this clipper may not be suitable. These Wahl pet clippers received very high reviews with many qualified recommendations. Users do not seem to need any other tool after purchasing the Arco. 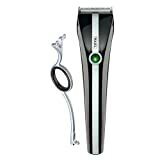 The Arco kit includes the cordless clipper, 2 NiHM drop-in rechargeable packs, 5-in-1 blade set, charger and stand, storage case, and cleaning brush with oil and instruction book. 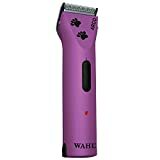 These cheap Wahl pet clippers are ideal for vet care including shaving, IV prep, and wound care. The Wahl ARCO clipper is made in Hungary. The blades are designed in Germany. However, these clippers can only be used on electrical outlets in the USA! It comes with a one-year limited professional warranty. The small Wahl Professional BravMini+ is a much smaller and lighter cordless clipper that provides 100 minutes of operation. It works extremely well for an all-around, complete trim for any small pet or toy dog. This trimmer can easily handle feet, ears, paws, face, and even bridle paths. 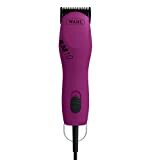 These low-vibration clippers by Wahl are extremely versatile and ideal to use at home. 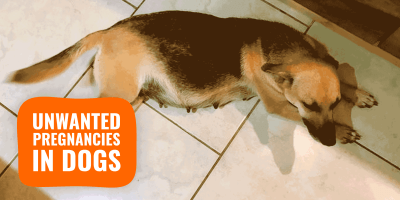 They effortlessly glide through any small dog’s coat. 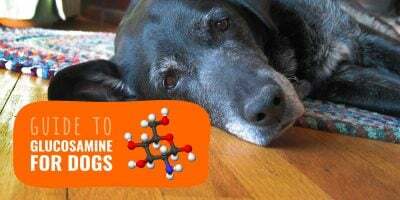 They work great on noise-sensitive dogs. Providing 5,350 strokes per minute, its ergonomic and sleek design offers an LED control display letting users know when it is fully charged. The number 30 blade is easy to snap on and off for easier maintenance. Providing a 1-year limited manufacturer’s warranty, the trimmer is not fit to handle a 5-in-1 blade as the other pieces. There are no combs on the clipper. Buyers appreciate the high-quality that comes with a more cost-friendly alternative. Its small size, yet super quiet performance, makes this a top recommendation in the buyer’s reviews. Although some do not like the fact that they cannot sharpen the blade and the fact that this clipper cannot be operated while on the charger. 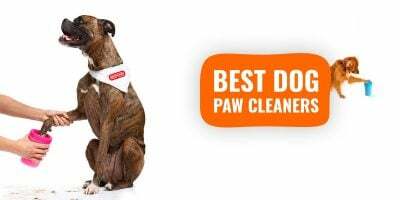 Make sure you read our top tips for using dog clippers at home!